In his remarks, Dr. Emde presented the history of the field of infant mental health, including early pioneers such as René Spitz, Selma Fraiberg, and T. Berry Brazelton. He talked about the science of early relationships and its relevance to early mental health, as well as the role the infant plays in effective clinical practice. The presentation is published in the WAIMH Youtube channel and lasts for 1 hour 7 minutes. The video concludes with a period of discussion. Dr. Emde is introduced by WAIMH Affiliate Council Chair, Maree Foley. 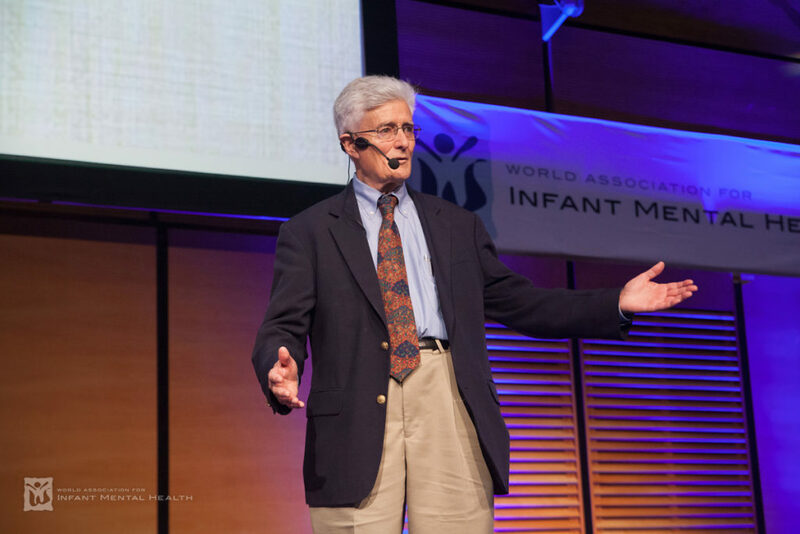 Robert Emde is the Honorary President of World Association for Infant Mental Health. He is one of the most influential architects of Infant Mental Health, believing in the power of relationships to effect change and the impact of relationship on relationship, concepts of particular meaning within the infant mental health community. He is a prolific writer, having published over 300 scholarly articles read by infant mental health practitioners across the world. Watch the video on You Tube. Robert N. Emde, Honorary President. By the Red Cedar column. By Hiram Fitzgerald. A Tribute to Kathryn Barnard and Peter de Chateau. By Hiram Fitzgerald.